The base 2014 Legacy 2.5i sedan comes with a 2.5-liter four and a six-speed manual gearbox as well as sporty handling; it's a lowkey sport sedan at a remarkably low price, if you don't mind the exaggerated looks and a straightforward but basic interior. The 2014 Subaru Legacy continues to represent a good value as a sporty, affordable, all-wheel-drive sedan that's fun to drive--as long as you're not looking for the latest gadgets and gimmicks. With its replacement unveiled at the Chicago Auto Show in February, and redesigned 2015 models already arriving at this point, the 2014 Subaru Legacy is nearing its expiration date; but that doesn't mean it isn't a strong entry in the mid-size sedan field. Like its successor, the 2014 Legacy remains the sole mid-size sedan that provides all-wheel drive as standard equipment in every model. Despite that extra technology, its gas-mileage ratings are some of the segment's best, though that's a constantly moving target as automakers upgrade their new cars to meet continuously tougher fuel economy rules. In its final year, the 2014 Legacy was largely unchanged after a number of improvements and new features the previous year. Those included the well-reviewed EyeSight camera system, a number of infotainment upgrades, and some additional electronic safety systems as well. Refinements to the suspension also improved the ride while making the handling and roadholding smoother. But the biggest change was to an all-new generation of 2.5-liter flat-four engines--which is how Subaru boosted the Legacy's previously uncompetitive fuel-efficiency numbers. The exterior design of the five-year-old Legacy match the profile of most mid-sized sedans, with a long hood and a short trunk following a steeply raked rear window. The Legacy has a somewhat slab-sided shape, with extremely exaggerated wheel arches. The front carries the characteristic Subaru hexagonal grille, a somewhat chunky shape that underscores the car's sturdiness while giving it a slightly more aggressive appearance than before. But you'll have to be a Subaru expert to tell the difference between the least expensive base 2.5i model and the top-of-the-line and rather more luxurious Limited models--specific alloy wheels aside, they're almost identical to the eye. Inside, the interior is straightforward and the switchgear and dashboard are pleasantly intuitive. The gauges are round and easy to read, and the audio system sits high in the center stack, easy to reach. It's flanked by vents that echo the upward-wing shape of the headlights, and on top-line models, there's dark glossy wood trim that adds a touch of luxury to the otherwise practical interior. Among mid-size sedans, the Legacy comes in on the sporty side. Subarus generally handle quite well, and the Legacy benefits from its low-mounted engine and the ground clearance of a sedan rather than the Outback's truck riding height. The car sticks well on turns and corners flat, and the steering is responsive and precise. You'll notice the heavier front end in the 3.6R six-cylinder model; the four is definitely a better-balanced and more neutral-handling car. Last year's suspension upgrades improved agility while both smoothing out the ride over broken or choppy pavement and reducing cabin noise. The all-wheel drive fitted to every four-door Subaru is renowned as a safety asset in rain, snow, and ice, but Subaru added new safety features last year to keep the Legacy competitive in a fast-changing area of the market. The EyeSight system uses a stereo camera to process images that give the car lane departure warning, adaptive cruise control, and pre-collision braking. Four adults can ride comfortably in the Legacy, which has one of the more spacious rear compartments of any mid-size sedan--including wide-opening doors that make it easy to enter and exit. The front seats are simply excellent, even in the low-end base models, and taller drivers will find the lower seat cushions are sufficiently long--an area where some makers cheat. The ride is on the firm side, but smooth enough on most types of pavement, and cabin noise is among the lowest in the mid-size class--though the five-year-old Legacy has lost some ground to newer competitors. The Legacy's trunk is large too, at almost 15 cubic feet. Like most Subarus, the 2014 Legacy comes in base, Premium, and Limited trim levels. Even the base 2.5i model, at just over $20,000, includes audio and cruise-control switches on the steering wheel, automatic headlights, a folding rear seat-back that's split 60/40, and a Hill Holder system that sets the brakes if the car stops on a hill--until the driver accelerates to move away. The four-speaker standard audio system has Bluetooth pairing and audio streaming, iPod control, and a USB charging port. For 2014 models, Subaru has made the formerly optional All-Weather Package standard on the Premium trim level; it bundles heated mirrors and front seats with de-icing windshield wipers. 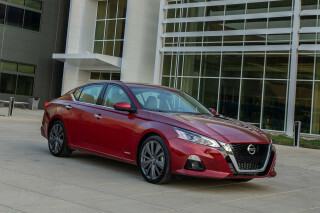 Most Legacies will likely be the Premium, or mid-range level, but at the top of the range, Limited models include such niceties as dual-zone climate control, rear-seat air conditioning ducts, electroluminescent gauges, leather upholstery, four-way power adjustment for the front passenger seat, and a nine-speaker, 440-Watt Harman/Kardon audio system with its own 4.3-inch in-dash display. 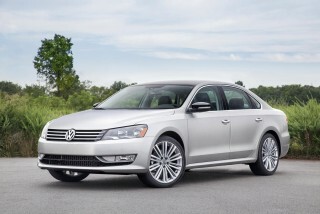 Options include an in-dash GPS navigation system with real-time traffic data and a power moonroof. The 2014 Subaru Legacy has about the same footprint and interior space as volume-leading mid-size sedans like the Toyota Camry and Honda Accord. But its five-year-old styling is both conservative and exaggerated, with slab sides broken by huge, cartoonish wheel arches and an aggressive hexagonal grille flanked by swept-wing headlamp shapes. Alloy wheels aside, there's not a lot of exterior difference between the base 2.5i model and the highest-end Limited version. And the lines are sufficiently square and basic that against the swoopy Hyundai Sonata or the elegant new Ford Fusion, the Legacy simply vanishes. Inside, though, the Legacy does far better. The cockpit is nicely proportioned, and from the driver's seat, the Legacy's various controls are intuitive. The simple, round gauges sit in a binnacle behind the steering wheel, the climate controls are self-explanatory, and the audio system sits high in the center stack between wing-shaped vents. Subaru has toned down the most extreme shapes of the sweeping interiors it launched on the earlier Tribeca and then the last generation of Forester. While you'll never mistake the Legacy for a German car inside, it all works nicely. On high-end models, there's now a bit of glossy dark-wood trim for a touch of elegance to add to the practicality. It's not meant as a performance sedan, but the 2014 Subaru Legacy can almost be viewed as a sport sedan in plainclothes. 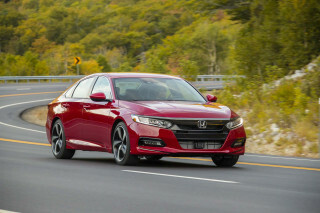 Excellent (and standard) all-wheel-drive grip, responsive handling, and the low center of gravity that comes from its horizontally-opposed "boxer" flat-four or flat-six engines add up to a driving experience that's far more engaging than the average Camry, Accord, or Sonata. There are just two engines offered in the Legacy. The base engine is a new 173-horsepower four that's been designed for better drivability and more response across a wider range of engine speeds. It comes standard with a six-speed manual gearbox--itself unusual for a mid-size sedan, and a feature that adds to the sportiness--but the four is best matched to the new Lineartronic continuously variable transmission (CVT). We find Subaru's CVT to be one of the best of the breed, without the engine surging and noise that make others so hard to live with. Gas mileage for this combination is a commendable 27 mpg combined (24 mpg city, 32 mpg highway), good for an all-wheel drive mid-size sedan. 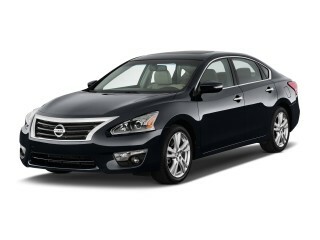 (Compare that to the Ford Fusion AWD model at 25 mpg combined.) 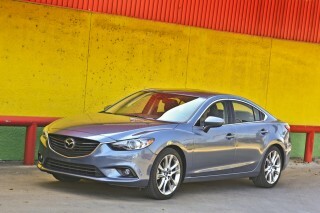 Opting for the six-speed manual adds athleticism and fun, but hurts efficiency, with a lower 24 mpg combined rating. The second engine, in models designated 3.6R, is 3.6-liter flat six that's been carried over unchanged for several years now. It produces 256 hp, and the only transmission option is a five-speed automatic. Six-cylinder Legacy models are refined and smooth, but not as fast as other mid-size sedans with V-6 engines--and you'll pay at the pump, with a low EPA rating of just 20 mpg combined. Subarus have always handled well, and the Legacy sits closer to the pavement than the high-riding Outback wagon. Cornering is flat, roadholding is tenacious, and the steering is nicely weighted, responsive and precise. Suspension, which was retuned last year, is on the firm side but delivers a good ride with little cabin noise. The four is definitely a better balanced and lighter, more lithe car than the six, if not quite as quick. The six-cylinder models feel nose-heavy in tighter corners. The retuned suspension smooths the ride on broken or uneven road surfaces, and Subaru says body roll has been cut by up to 40 percent around turns. The 2014 Subaru Legacy gets high marks for interior room and ride quality, but its interior is on the plain side. 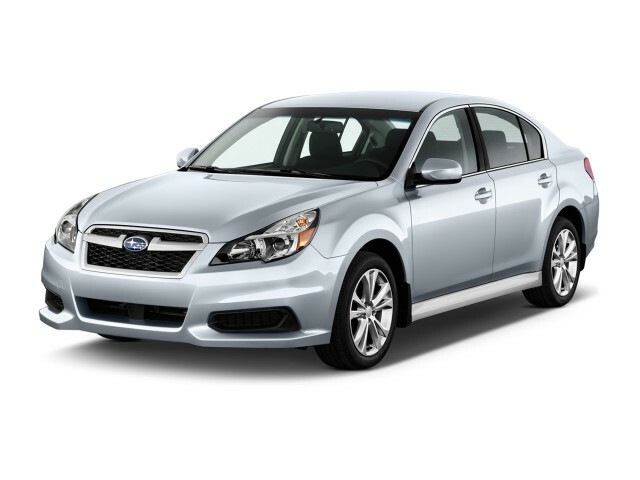 The 2014 Subaru Legacy provides a roomy interior and good ride quality along with its good roadholding, but its interior materials aren't quite up to the standard of top-end models from some competitors. The Legacy has a particularly large rear cabin, accommodating four full-size adults comfortably over long road trips--and making it easy for them to get in and out too, through large rear-door openings. 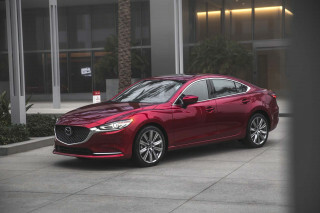 Rear headroom and legroom dimensions are among the highest in any mid-size sedan, and the front seats are some of the best in any mass-market sedan. They received a new, more upscale fabric pattern last year--no more Granny's brocade chair lookalike--and the lower cushions are long, a blessing for tall occupants. Cabin noise is well suppressed in the Legacy under most circumstances, filtering out coarse road surfaces, broken pavement, and potholes well. The ride is on the firm side, but remains supple enough for comfort. Subaru has provided plenty of bins, pockets, cubbies, and cup holders for all the miscellanea that drivers and passengers bring with them, and the trunk is spacious as well. If the Legacy has a weak point, it's simply the plain materials used in the cabin. Subarus are first and foremost practical vehicles, and straightforward, non-luxe cabin materials suit most buyers just fine. Much of the interior is hard plastic, which is acceptable for base models starting just over $20,000. But with the larger engine and Limited trim level, that's a letdown for a car with a premium price--and, frankly, the interior pales badly in comparison to competitors like the Ford Fusion. All Subaru Legacies sold in the U.S. are built in Indiana; build quality is excellent, in our experience. One of the main safety features of the 2014 Subaru Legacy is its standard all-wheel drive system, offered as an option only by one other mid-size sedan and not at all by the rest. A number of active safety systems were added for the 2014 model year to keep the car competitive as electronic systems proliferate as both standard and optional equipment. All 2014 Legacy models include front and side airbags, side-curtain airbags that cover the window opening, anti-lock brakes, brake assist, and electronic stability control. One valuable feature is Subaru's characteristic Hill Holder, which prevents the car from rolling when stopped on inclines by setting the brakes until the driver begins to accelerate away. While the Legacy received top scores for years in crash-safety tests, one new and tougher test mean it no longer gets uniformly the best ratings in every test. The National Highway Traffic Safety Administration (NHTSA) has awarded the Legacy five out of five stars in all its tests: overall, front impact, side crash, and rollover. The Insurance Institute for Highway Safety (IIHS), on the other hand, awarded the Legacy its top rating of 'Good' across all categories--including front, side, and rear impact tests, plus the roof strength test. Models for 2013 and 2014 (built after August 2012) earned only an 'acceptable' rating in the new and tougher small-overlap frontal test--but the IIHS kept the Legacy as a Top Safety Pick+ model for the year anyway. New last year was the optional EyeSight system, which uses images from a stereo camera system to provide lane-departure warning, adaptive cruise control, and pre-collision braking. At 19 mph or less, the EyeSight system can even detect pedestrians or other objects in the road ahead of the vehicle and brake to a stop automatically. Above that speed, the system reduces the force and speed of any impact. Lane Departure and Sway Warning not only alerts drivers if they drift out of their lanes, but serves as an indicator that they may be getting drowsy. At a low $20K starting price, the all-wheel-drive 2014 Subaru Legacy offers good value for the money--if not all the latest bells and whistles. Like most Subaru models, the 2014 Legacy is offered in three trim levels. The base 2.5i model is the value leader, the Premium trim level is the most popular in the market, and the high-end LImited adds a number of near-luxury features to this otherwise sensible sedan. All three trim levels can be ordered with the 2.5-liter four-cylinder engine, unlike competitors who pair luxury with larger and less fuel-efficient engines. For 2014, the 3.6R engine is available solely with the top-end LImited trim. Standard equipment on every Legacy includes audio and cruise-control switches on the steering wheel, automatic headlights, a 60/40 split rear-seat back that folds flat for trunk access, and the Hill Holder system that keeps the car stopped securely on slopes until the driver accelerates. The standard AM/FM/CD four-speaker audio system includes iPod control, Bluetooth pairing for both audio streaming and hands-free phone use, and a USB charging port is also standard. The mid-range Premium trim level adds the CVT as standard, plus 17-inch alloy wheels, leather steering-wheel and shift-knob covers, a 10-way power adjustable seat for the driver, additional tweeters mounted in the dash, and a handful of other options. The Premium trim for 2014 also now includes the formerly optional All-Weather Package, with heated front seats and mirrors, and a windshield washer de-icer, as well as a mid-level six-speaker audio system with a 4.3-inch in-dash display and a four-month trial subscription to SiriusXM satellite radio. Top-of-the-line Limited models, with either the four- or six-cylinder engine, add dual-zone climate control, full leather upholstery, a four-way power adjustable seat for the front passenger, and a 440-Watt nine-speaker Harman/Kardon audio system. Limited models also get air-conditioning ducts for rear-seat passengers and electroluminescent dashboard gauges as well. Options include an in-dash GPS navigation system with real-time data on traffic conditions, a power moonroof, and a rear-view camera. For fuel efficiency in the 2014 Subaru Legacy, go for the 2.5i with CVT--the more powerful 3.6R six-cylinder drinks fuel. The 2014 Subaru Legacy does better in fuel economy than earlier models, before last year's all-new 2.5-liter four-cylinder engine--which gets its best gas mileage ratings paired to the Lineartronic continuously variable transmission (CVT). 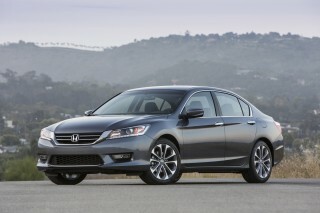 All trim levels with the 2.5i engine and CVT are rated at either 27 mpg combined (24 mpg city, 32 mpg highway). 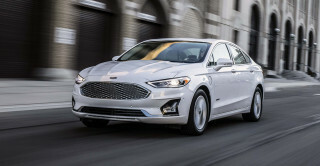 That's a good numbers for an all-wheel-drive mid-size sedan; the Ford Fusion, the only other model even to offer all-wheel drive as an option, is rated at 25 mpg. Choosing the six-speed manual gearbox instead, offered only on the base Legacy model, cuts efficiency to 24 mpg combined (21 mpg city, 28 mpg highway). The more powerful flat-six 3.6R engine, on the other hand, is one of the thirstiest mid-size sedans even among six-cylinder models. 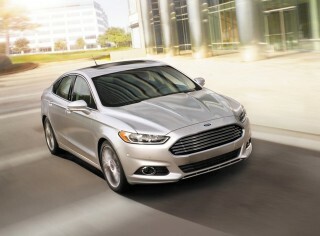 It's rated at just 20 mpg combined (18 mpg city, 25 mpg highway) with the only transmission choice, a five-speed automatic.